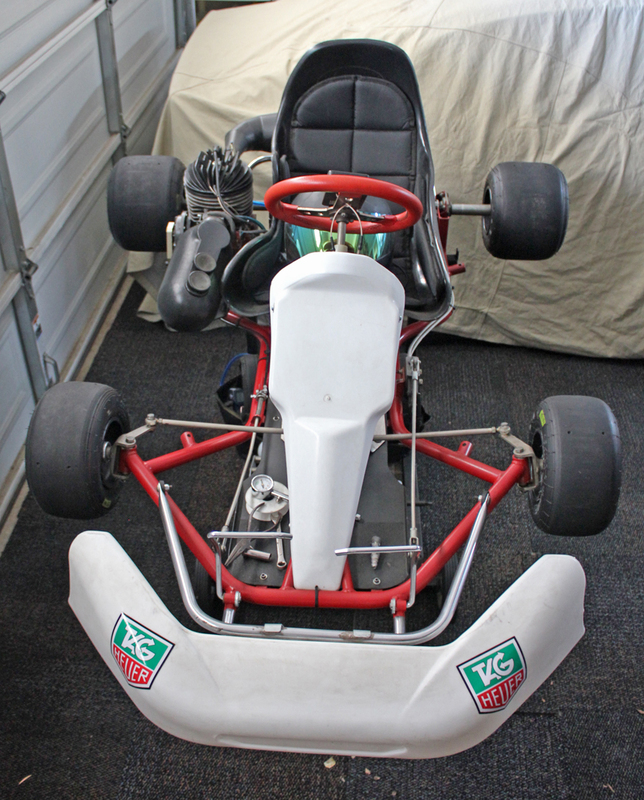 The story goes a co worker asked me if I knew anyone who wanted to buy a go kart. 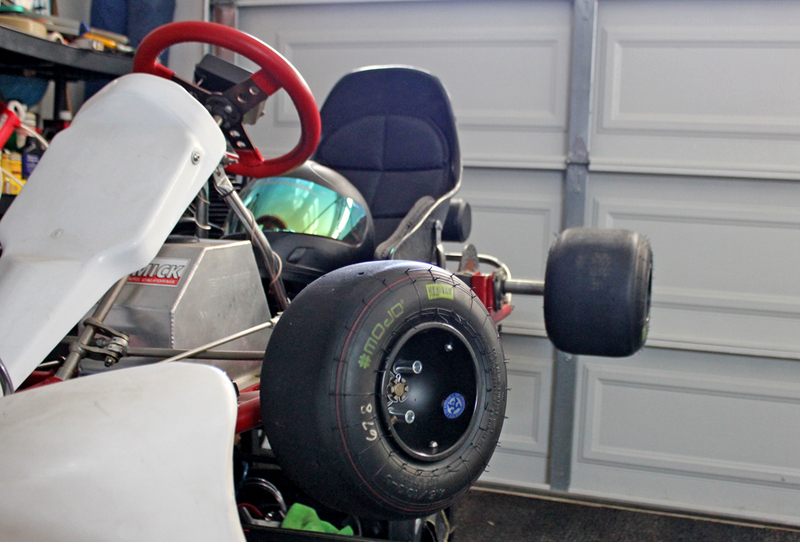 I've dabbled in some kart racing before at various indoor tracks and loved it. I said I may be interested but in the back of my mind I was thinking it was going to be a junker. He didn't know what kind it was or much about it at all, just said it was 100cc and it went 95 mph, just wanted it out of the garage as it was taking up too much space. I went to check it out and was shocked. It was a completely legit racing kart from what I thought looked like something from the 90's. Naturally I picked this bad boy up and began doing research to figure out what this thing was. 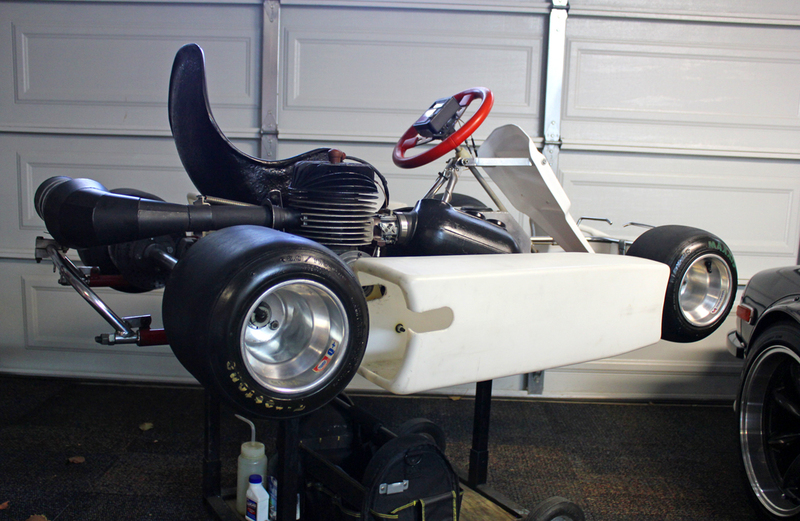 The chassis is an Emmick "Cobra" which has been making carts since the 70's out of Sacramento Ca. I don't think these are made anymore since the owners have both passed on but I can't confirm this yet. 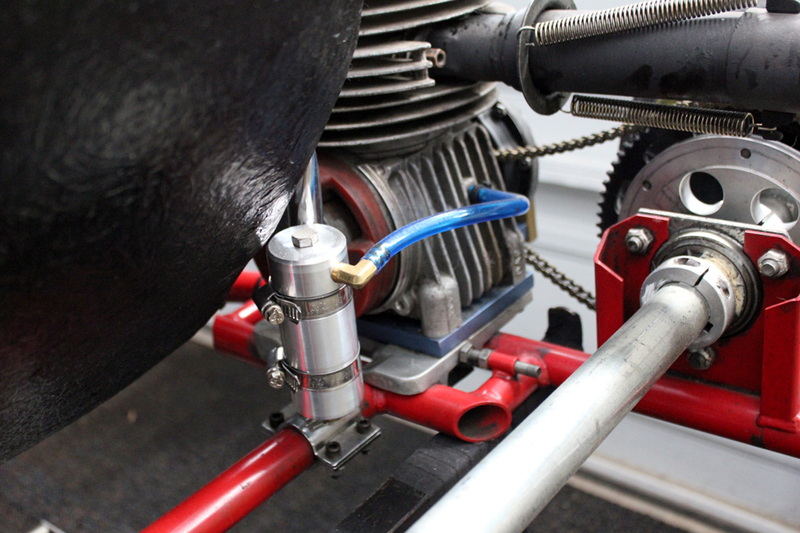 The motor is a DAP T50 2 stroke 100cc. 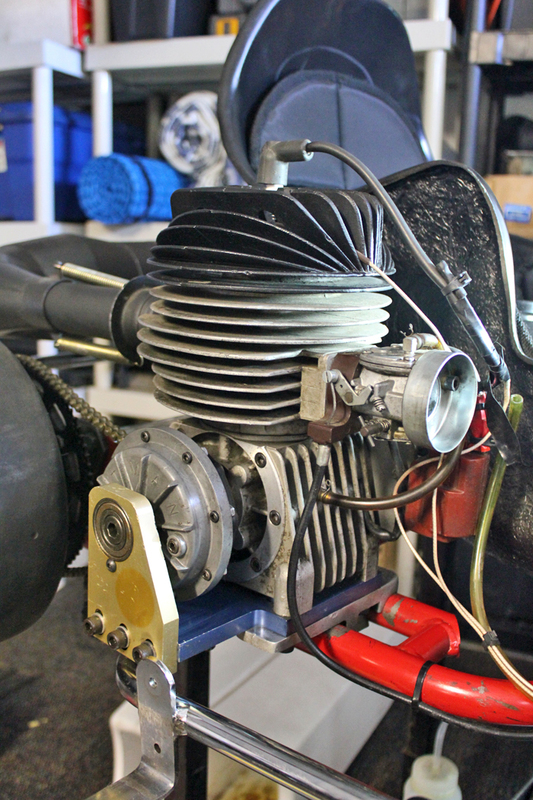 DAP motors were made in Italy during the 70's and 80's to combat the popular Kawasaki KT100's. The DAP T50 is supposed to be virtually bulletproof. The kart ran a year ago and I'm currently draining all the fluids and giving everything a once over before I attempt to fire it up. Really excited, this thing looks very fast. 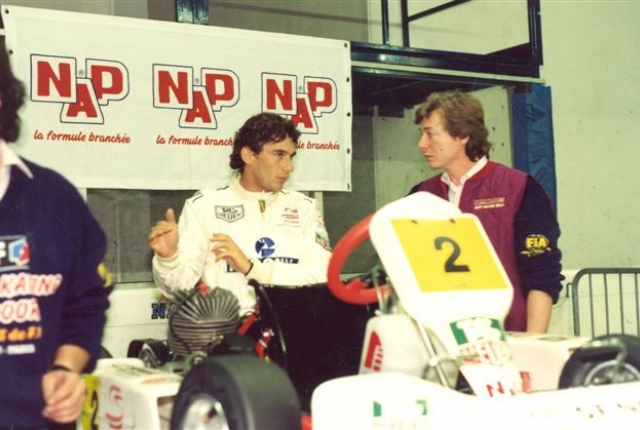 When I was researching the DAP motor I found out that racing legend Ayrton Senna had raced DAP motors/karts. He also said that kart racing was one of the purest forms of motor racing there was. 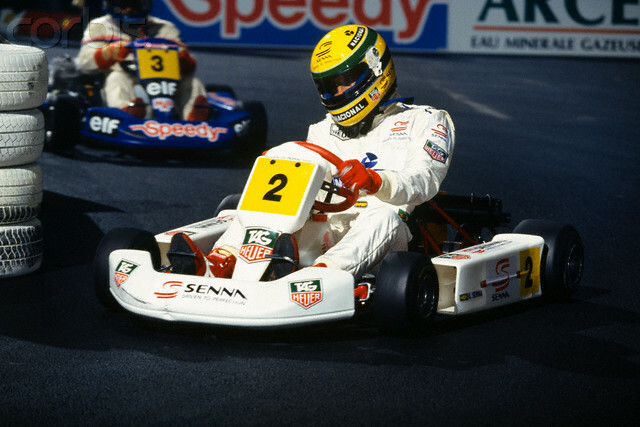 I was looking through some pictures of Senna and stumbled upon pictures of him racing in a battle against Alain Prost in 1993 and noticed how similar his kart was to mine. 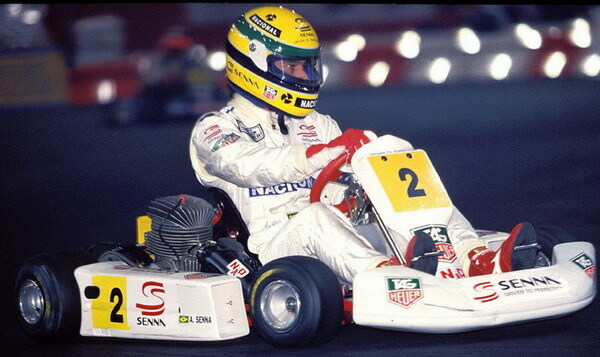 I'm not sure if that was someones original intention to build this kart modeled after Senna's but I think it makes it twice as cool now! Wow KnuckleDuster, that is way cool! Looks like a blast to drive. I agree with NCchris, Wow. I was thinking of what to do this weekend at work. 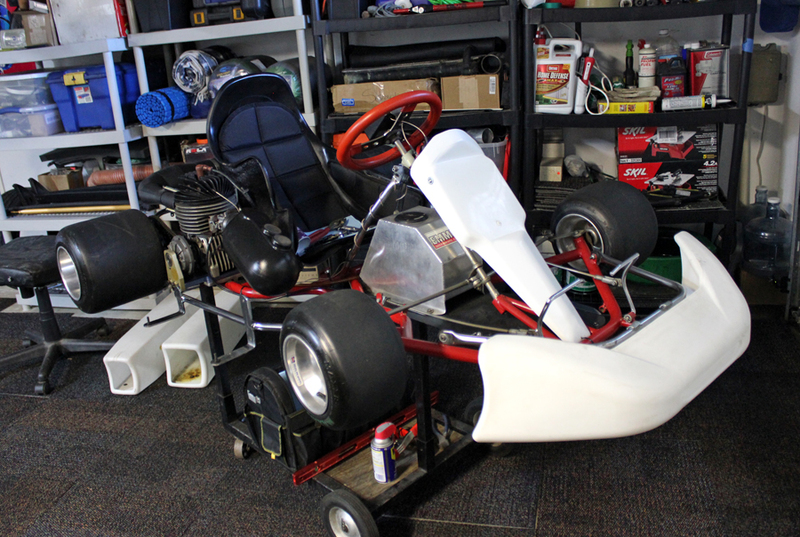 "How about Go-karts..." Update us on the progress. Attempted to get her running yesterday, fresh gas & oil, new plug, replaced some old fuel lines. Usual story of my life no spark! 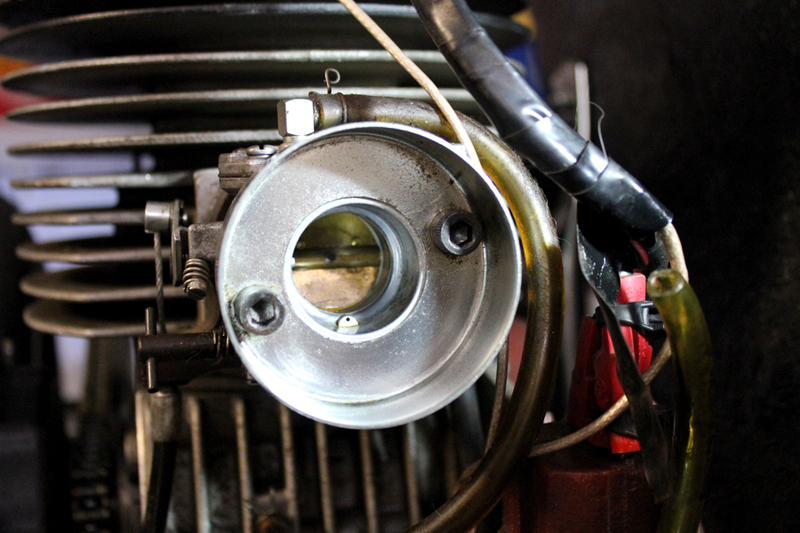 The ignition system is a Motoplat which was made in Spain during the 60's-90's. The good thing is there is a lot of information out there on these since they were used in tons of dirt bikes at the time. My quest for speed continues.. Awesome... 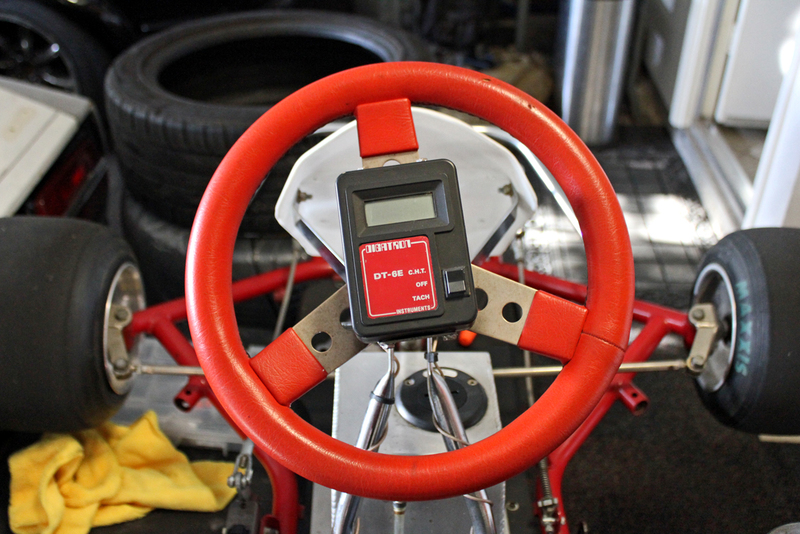 Yesterday, I drove for 3 hrs to go-kart. It was my fast time on a track. The trip was worth it. KnuckleDuster, you are a lucky guy for such a great deal. 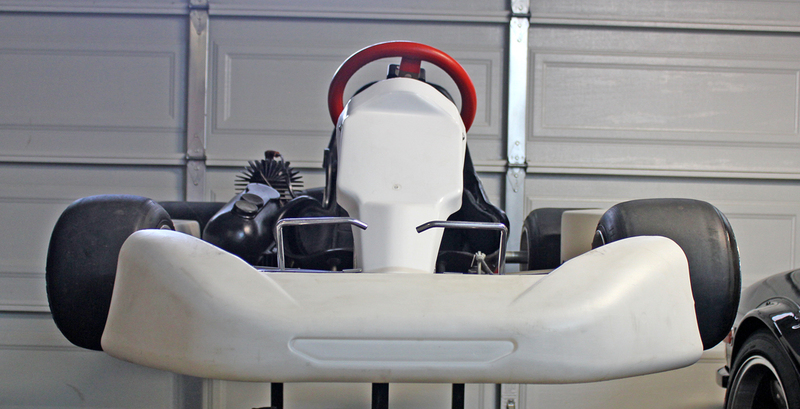 Well I joined a vintage kart forum to find some more info on it and I located a serial number on it which is EL 866. 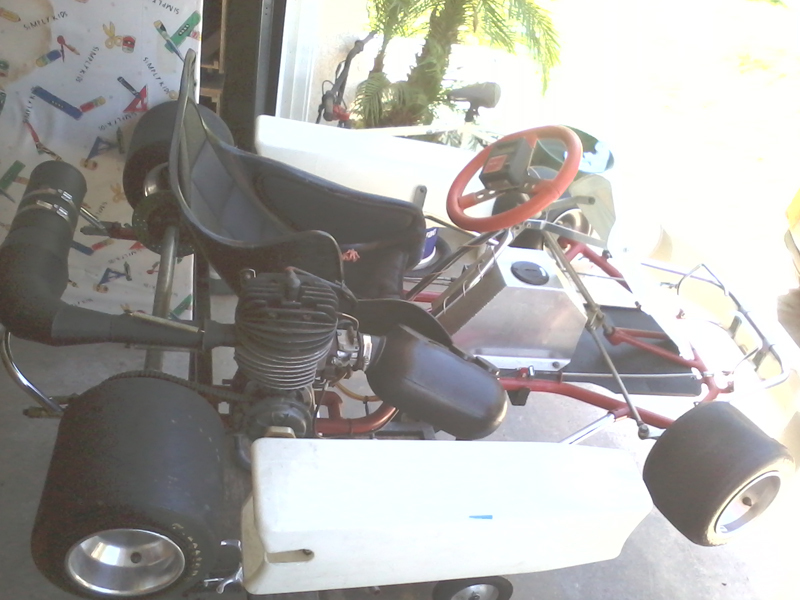 Found out the kart is an Emmick Elite made in 1985 the same year I was born. 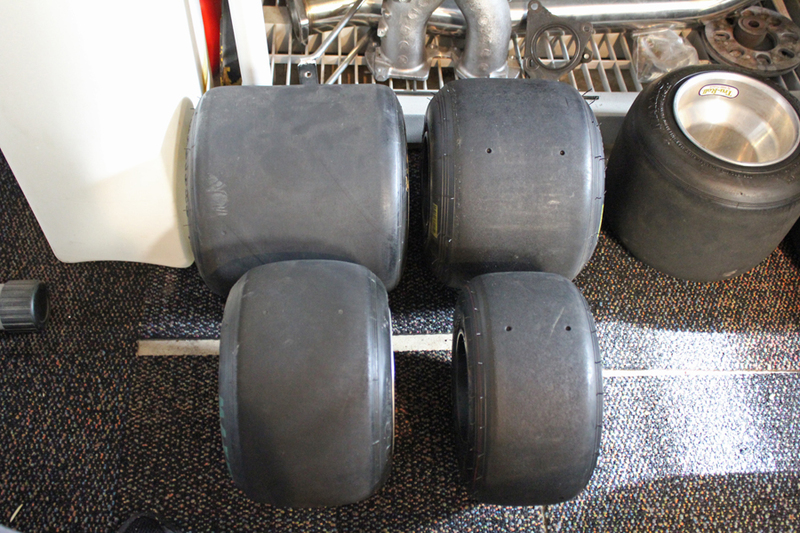 The very wide tires indicate it was used for dirt oval racing at some point. 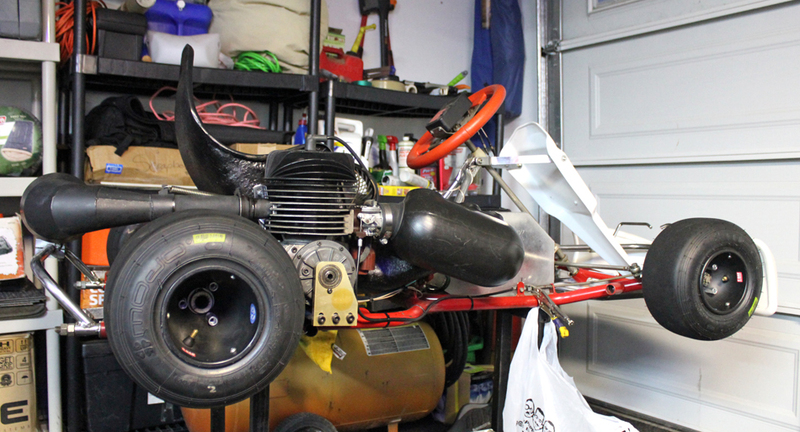 I finally got around to rebuilding the carb and the kart fired right up! Here's a short vid of it's first run. The camera died on us so this is all I have for now. The carb needs some fine tuning but danm this thing is fast! 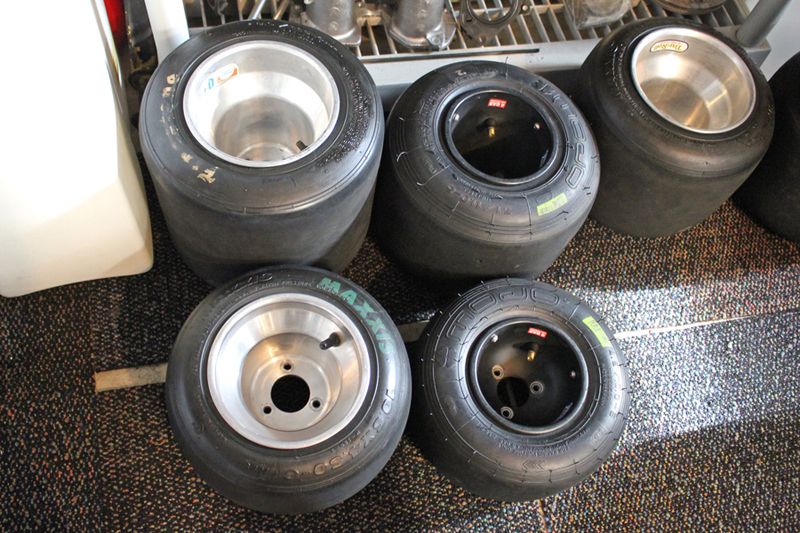 So I've been needing to change out the 6" wheels which are typically used on a dirt/oval courses for a set of 5" wheels for road course use. I found a set of near new DWT 5" wheels and new tires on c-list. They are lighter and stronger (Magnesium). Unfortunately the guy didn't know what hub pattern they were but the price was right so I bought them anyway. Turns out they're metric and I have US hubs. 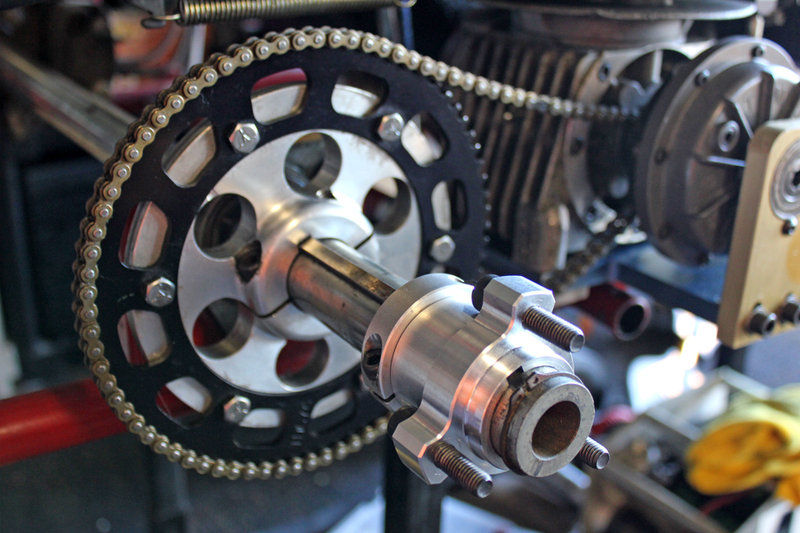 I have new hubs and bearings on the way which cost $30 a corner. 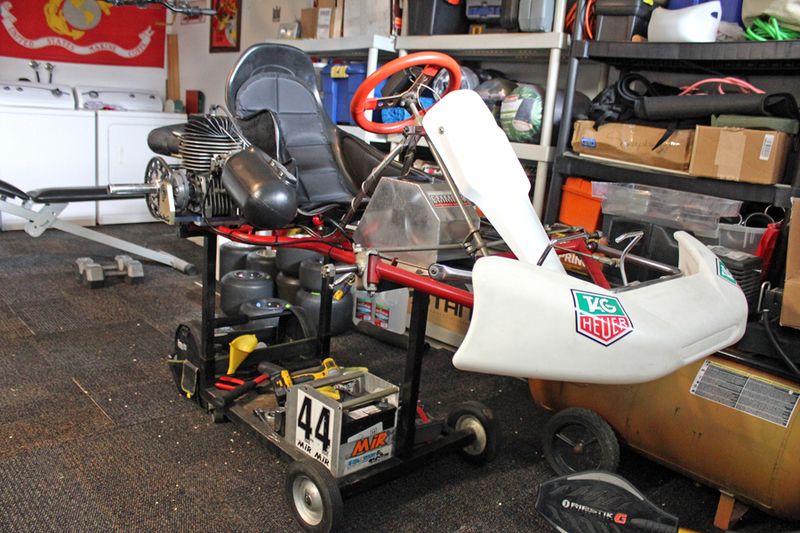 Getting closer to a practice day at the track to see how this old kart will hold up. Should be a blast. Anyone remember the ChiPs episode in the early 80's where the kid on the Go-Cart evaded the cops? Flashback, man I'm getting old! I couldn't find it on youtube. Yeah, I recall that episode, one of only a few that still stand out in my aged mind. Thanks guys! Here's a long overdue update. Got all 4 wheel hubs installed. These are super light compared to the originals. Wheels and tires came out nice, it doesn't looks as much like an F1 car now but function over fashion. I had to buy longer wheel studs to accommodate the new style of wheel. Installed an oil catch can. So far I've only driven it the one time. I found a hairline crack in the clutch cover which was slowly weeping out the fluid so the hunt goes on for a vintage horstman clutch cover. 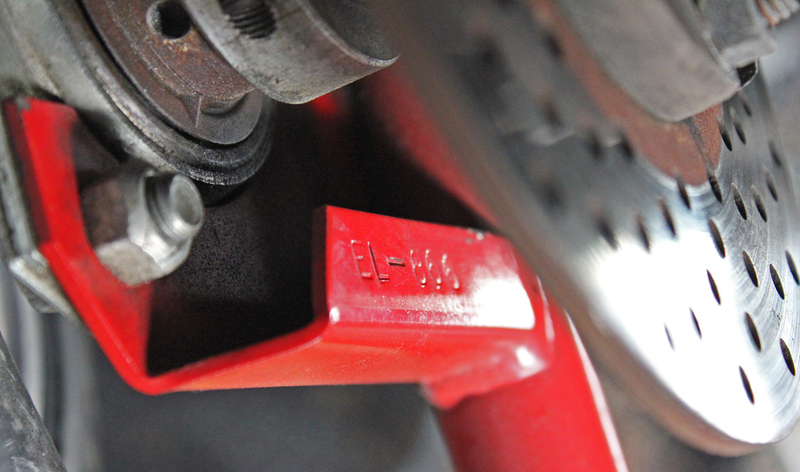 The gas tank seal at the filler cap also has a leak which could leak gas out during cornering so that will need to be replaced as well. I have a kill switch button I need to wire in as well. Unfortunatly with my Z undergoing a motor swap the Kart has been put on the back burner for now but expect go pro racing vids of this guy in the future. Here's a VERY informative video I found on youtube regarding setting up a kart..